Directed media relations is essential to break through the flood of information but can be very difficult to develop on your own. A well-crafted message only becomes successful when it reaches the right audience through targeted media contacts and consistent, strategic coverage. ASHA PR has spent more than 20 years cultivating relationships with many major media organizations, including Associated Press, CNN, Reuters, NBC, FOX 5 News, Washingtonian, WUSA-9, Washington Post and more. This allows ASHA PR to utilize those relationships to push your message outwards, but also means those media outlets will reach out to professionals like ASHA PR when they are seeking just the perfect story, contact or specialist to fill their news needs. ASHA PR also brings expertise in the challenges of dealing with the media, knowing what the media want, and in helping them to present images, ideas and information accurately and fairly. The news media cannot be controlled and they hold the ultimate control over whether the news angle you put to them is of interest to them, and in turn, to their audience. 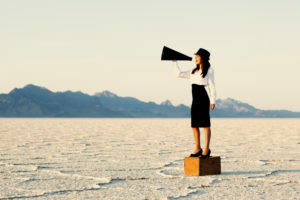 Media relations campaigns help clients enhance brand recognition and reputation, sell products and services, extend credibility, shape public opinion and boost relationships with consumers and other stakeholders. ASHA PR will help recognize your target audience, develop good stories and utilize long-time national, regional and local media connections to launch your media campaign. As an example, ASHA PR drew on media contacts to get direct press exposure for the Smithsonian Asian Pacific American Exhibit. The regional and national media campaign provided information and was used to garner attendance and excitement for the exhibit. Without the correct contacts, your crafted press release and story are just shots in the dark, not reaching your target audience. ASHA PR can utilize years of well-developed contacts and relationships as well as media expertise to help your organization get its message heard and broadcast outward to hit its mark and reach all the important stakeholders.